I am sure, that it is no secret at this stage across my social media, that I have entered into my final year of secondary school, i.e., Leaving Cert, i.e. stressed-to-the-nines. Unfortunately, my senior year is not depicted like your average romantic Gossip Girl/PLL saga. It requires a lot of hard work, energy (that is not plentiful) the right mind-set, and plenty caffeine. I’m dedicated to my work, which is one of my biggest strengths, and indeed, one of my downfalls. From time to time, I tend to lose sight of looking after what should be on the top of the list; myself, and not Club Accounts from White Heads Golf Club, year ending 2005. I want to do well, of course I do, but I don’t want to get swarmed up for a year and forget to be who I am. Writing is a big part of me, there is not one without the other. Rewind two weeks ago, I would have said all that would be put on the back-burner, but I was reminded that at the end of the day, I can’t neglect what makes me happy. I have a hard time taking leaves from my own books. “Work, life, balance” is a sentiment that is preached in society, and while right now I can’t fully recognise it, I hope I will soon. There is a lot going for this space at the moment and I can’t let it go by the weigh-side. Believe me; I would much prefer to write album reviews, short stories and other things you would find here, rather than Comparative Essays and Balance Sheets. So what’s been happing, you might ask. 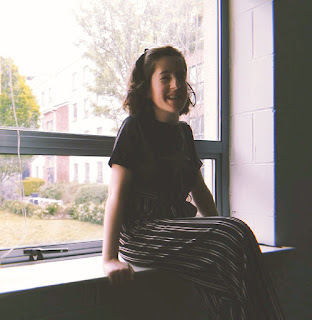 I was recently shortlisted for the Best Youth Blog as part of the Irish Blog Awards. There is a public vote until 21st September. Being shortlisted, as I’ve said across Facebook, is a major achievement in itself – but to be able to go the extra mile would be fantastic. If you would like to help your gal out, you can click here – I will let you know how I get on! There are a couple of other things that may possibly be happening in the background in the near future, so I won’t be fading away from here. My plan is to write up a couple of blogposts at weekends, and getting up earlier in the morning to do so. My workload aside from blogging is quite vast – and there is a lot for me to get through, but I’ll try to make it work. Meeting people out and about, even in school, who say to me they read my blog and ask when will I write again, is one of the main reasons why I keep coming back here. For so long, I felt I was writing to an empty matter of wires and connections, but I’m learning that that isn’t the case, and I have you to thank for that. All I can do is take a deep breath, take a minute to look from my desk and hope that the turf gets brought home before September is out. 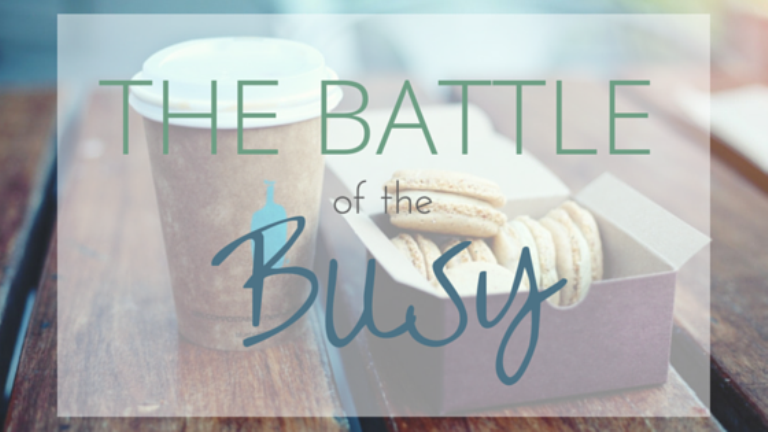 Let me know how you balance your "Battle of the Busy" in the comments below. Wishing you lots of luck for your final year, what are the plans for after that? I'm going to have to start getting up earlier if I want to write on my blog. I just find getting up rather hard a lot of the time lol! Thank you Amy! Provided I get the results I need, I'm hoping to study Journalism in DCU in Dublin - if all goes well. I feel your pain, I've never been a morning person, more of a night owl!